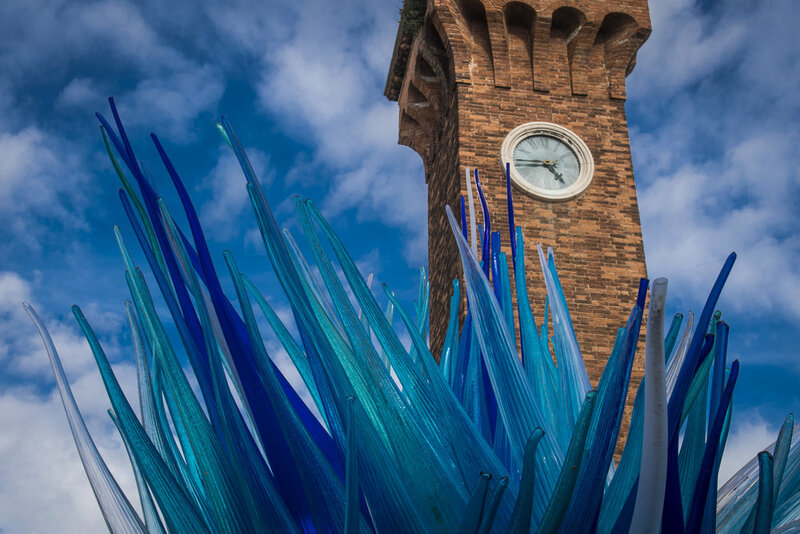 Discover the islands of Murano and Burano in this private full-day photo excursion and learn how to come away with the best images. Escape the hoards at St Mark's square and spend a day island hopping in the Venice Lagoon. When the crowds get too much, go island hopping and discover the smaller islands in the northern Venice lagoon. The glass island of Murano feels like Venice's little brother, calmer and more relaxed, but every bit as pretty. Whereas the colourful pastel plastered facades of Burano will fill your memory cards in no time. Join us on a full day expedition with a professional photographer who will navigate the lagoon and bring you to the best spots to capture your imagination. A photographer will meet you at your hotel and together you will take the vaporetto (public ferry) to Murano and Burano and back. Transportation and lunch are included in the price. The photographer will drop you off at your hotel in Venice (does not include Mestre, Giudecca, Lido or other hotels outside of the city). Once we arrive on Murano, we will grab our cameras to begin our walk around the island and photograph the Campi, canals, bridges and life in this quieter part of Venice. We will either have lunch before we leave Murano or grab the ferry first and then have lunch on Burano. Burano is known for its brightly coloured houses and lace making. We will work on your photography technique as we capture reflections in the water, quiet alleys, clotheslines, boats and colours. Our tour ends as we photograph the sun setting into the lagoon. After the tour, we will accompany you back to your hotel, or you are welcome to stay on the island on your own to soak in the evening. Ferries run relatively late, so no hurry if you stay longer. The ferry trip back is paid for even if you remain without us. Whether you are just starting, are a hobbyist, or have years of experience, our team of professional photographers will find superb photographic opportunities for all kinds of interests. Take advantage of the one-on-one experience of our private and personalised tour to develop your creative vision. Murano and Burano are smaller than the city centre of Venice, but we will still do a fair amount of walking. Make sure to pack your comfortable shoes. You won't be on your feet the entire time though; we will have a little break to make sure we grab a bite to eat along the way where we can talk about photography. Each tour is led by a professional photographer who can craft the perfect tour suited directly to your skill set. Let us know if you have particular interests or subjects you want to shoot and we will work it into the itinerary.